Earlier this year, the titles for Phase III of Marvel's productions were released. One of them was a movie about Dr. Strange. Rumors about who would play the role began circulating, and this week, one of those rumors was confirmed: Benedict Cumberbatch will officially be playing the role of Dr. Strange in a movie set to release November 6, 2014. I gathered up some of The Fangirl Initiative team members and asked them their thoughts on this. First off, a brief history. 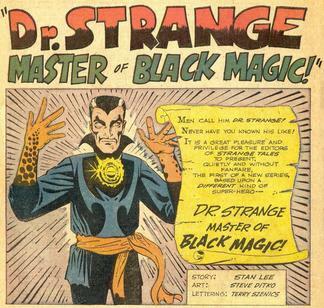 Dr. Stephen Strange was created by Steve Ditko in 1963. He first debuted in the comic Strange Tales #110. (Fitting, no?) The character has continued to show up in Marvel's comics from 1963 until now, with the character's most recent appearance being in New Avengers in 2013. Dr. Strange was born on a farm in Nebraska, and became a world-renowned surgeon at a very young age, which made him very arrogant and full of himself. (Tony Stark, anyone?) Unfortunately, he was in a car accident that damaged the nerves in his hands, making him obviously unable to perform delicate surgeries. In his search for a cure, he drained his bank account dry, and, finally, followed rumors of an Ancient One. (Hint: he found him.) When the Ancient One was in danger, Dr. Strange redeemed himself from arrogance by defending the Ancient One from his enemy. As a reward, the Ancient One taught Stephen Strange magic, and Dr. 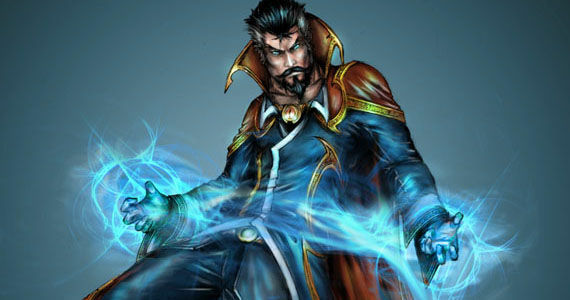 Strange received the title of Sorcerer Supreme, which basically means he's a really powerful magician. (More info here.) Simply put, this is a seriously impressive guy. And now for my opinion. When I first found out about the casting, I... wasn't thrilled. While I'm not as acquainted with Dr. Strange as some of the other Marvel characters, I had a strong opinion as to who should play Dr. Strange. And Benedict Cumberbatch wasn't it. While I love the guy--Sherlock is amazing, and his performance as Khan was bonechilling to say the least--I'm not sure I want him in the Marvel universe as Dr. Strange. Personally, I'd rather see him play a villain, or some other character that fits him. Instead, this casting choice somewhat strikes me as shoehorning a popular actor into a part, which obviously isn't great. However, after researching Dr. Strange, I've changed my tune a little bit. While I'm still not thrilled, I think Benedict Cumberbatch could actually do this part really well. I trust Marvel, and I do think that once I see Benedict Cumberbatch as Dr. Strange, I'll probably change my mind completely and deny I ever objected to him. I've had harsh reactions to casting choices before, and every time, I'm proved wrong. Do I doubt that Benedict can play the part? No! He's an incredible actor. But Dr. Strange is one of the characters I'm most excited about being brought to life on the big screen. So I'm incredibly torn as to whether this is what I wanted for the Dr. Strange movie. Overall, though, I think Marvel knows what they're doing, and I look forward to seeing what comes of this casting choice. My knowledge of Dr. Strange is limited to a PS2 video game from about 2006. But basically: he’s this awesome dude rocking the cape and goatee and has awesome mystical abilities to keep guard over Earth. He’s also neurosurgeon. He sounds cool. He looks cool. It’s obvious not just any actor could play the part. I think Benedict Cumberbatch being cast is a smart move for Marvel (but really when has Marvel failed in casting? Some of us were skeptical about Mark Ruffalo, Chris Evans, the young cast of X-Men, Andrew Garfield, Guardians in general, etc. And they all did brilliantly). They need someone known in order to sell a movie about someone who isn’t as well known (I mean, I’m a huge marvel fan and I’m summarizing the character in a stereotypical sentence because I barely know anything about him). They also need someone who can step into the role. Dr. Strange is kind of arrogant (at least at first) and he’s involved with really weird stuff (like weirder than Guardians stuff). They need someone who can play arrogant (Sherlock Holmes, anybody? ), intelligent (Khan and Sherlock and a handful of his other roles) and really weird (you’re talking about a man who can be in a WWI movie, Sherlock Holmes, Star Trek, and a freaking dragon in the Hobbit and do fantastic in each role. He’s transcended between every genre pretty much). I know that most of the “hate” towards the casting has been about him being white, but Dr. Strange appears white and grew up on a farm in Nebraska during the 30s and 40s (he’s probably white). I understand the desperate need for people of color but it makes absolutely no sense to take a character that is supposed to be white and make him colored. Instead, if we want more people of color to show up in Marvel we have to prove they can sell the movie by supporting the comics. Cumberbatch is a phenomenal actor. I think he can do it. And I’ll be rooting for him all the way. One of my problems is that Stephen Strange is Middle-Eastern, not English. That aside, I usually trust Marvel's casting - and when I don't, I'm proven wrong. Stephen is serious and powerful, and I'm more concerned about how Benedict is going to differentiate this from Sherlock or Khan or, heck, even Smaug. 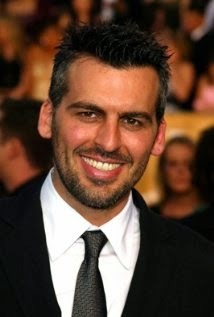 Personally, Oded Fehr would have been the PERFECT Dr. Strange, and that was disappointing. I mean, I know I'll like the movie, but I'm not a fan of the 'Actor of the Moment' being in everything and playing everyone. While I've little experience in the world of comics (I know if I ever started, I'd go down a black hole of fandom and ne'er return to the light of day), I have seen and heard a fairly large portion of Cumberbatch's roles in the past. "Heard," you say? "What ever does that mean?" 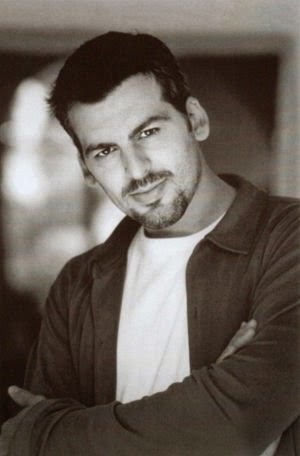 Well, the talented actor in question has starred not just in films, but in BBC radio skits as well: comedy, to be exact! It's one thing to see Cumberbatch's range of solemn acting on the screen -- the impudent genius of Sherlock, the intensely emotional Khan, and of course the reptilian CGI Smaug for which he volunteered hours of time in a full body suit covered in ping pong balls. But those dark, brooding roles aren't the only things that Cumberbatch is capable of, though many people may not know it. He's highly versatile, with a fantastic knack for comedy (and I'm not just talking about his Oscar photobombs). In the BBC radio sitcom Cabin Pressure, Cumberbatch plays an uptight airline captain with everything to prove... and a stutter that tends to pick up as he gets more and more nervous. He plays it so well, in fact, that it's hard to imagine he was born with any other personality. For those of you who have a long plane or car trip ahead of you during the holidays, I highly recommend picking up some Cabin Pressure episodes off iTunes: there are 26 so far, one for each letter of the alphabet beginning with Episode 1 in Abu Dabai. The final episode, "Zurich," is about to be released this very Christmas. Hearing that familiar voice snarking away in the radio series may make your day and forever change how you think about airlines and their pilots; I know it does me. And what's my point in all of this, you ask? Having experienced Cumberbatch in both the darkest of plots and the lightest of laughs, I can personally say that I have great faith in him: he will dive into whatever role he's given, including the role of Dr. Strange, and play it wholeheartedly. There may be bad movies in existence, but though I go out on a limb, I think that there may be no bad acting by Benedict Cumberbatch. 1. 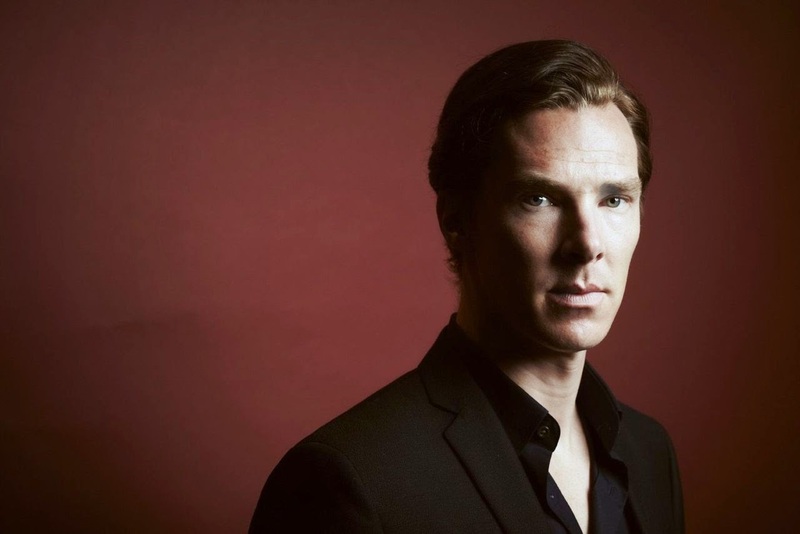 For Marvel, money-wise and universe-expanding-wise, Benedict is the right type of actor for them to cast right now. Benedict is rising fast as one of the great actors of our time and he’s got a huge fanbase, especially among people that tend to like Marvel movies (basically fangirls. THAT’S US.). He’s a really good choice at this point to expand the universe and potentially bring in more fans. 3. Doctor Strange is a former neurosurgeon. Benedict can totally play a former neurosurgeon. And a magician. But not a former magician. A current magician. This is definitely looking good for Mr. Cumberbatch. Apparently Doctor Strange is also a genius. 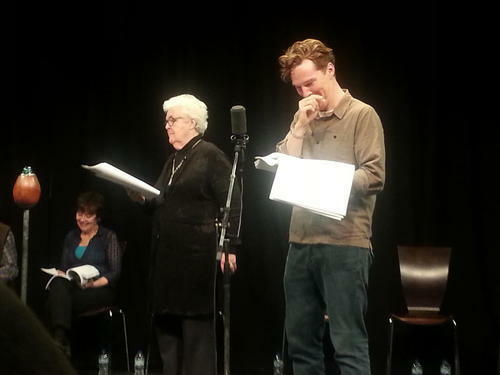 Benedict plays smart people well (Sherlock anyone?). 4. He’s British. Marvel loves British/Australian people. I mean, take Tom Hiddleston and Chris Hemsworth. If that’s not evidence, nothing is. I was talking to a friend about this and she said, “Cumberbatch would be perfect.” My sentiments exactly. I don’t know if they could cast anyone better! What do you think about the casting choice? Is Benedict Cumberbatch a good actor to play Dr. Strange? If not, who do you wish had gotten the role? Let us know in the comments!